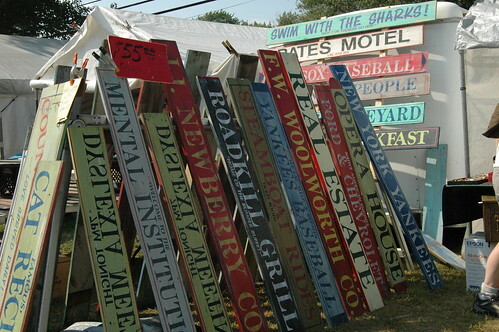 Have you ever been to Brimfield, MA for one of the antique shows? It's the largest antique show in the country, with 5,000+ dealers. I have wanted to go for years - long before I became an antique dealer. I'm finally getting my chance this week! I'm heading out bright and early Monday morning with an empty pick-up truck and I don't plan to come back until it's loaded with the coolest stuff I can find for my shops! any tips on best dealers, places to eat, the do's and don'ts, etc. of shopping the show! So, wish me luck - I'll keep you posted along the way!